We will carefully create your Memorial Portrait to last from generation to generation. 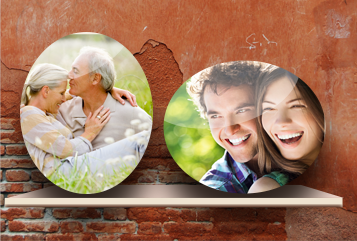 Include text, quotes or a poem to further express and commemorate the personality of your loved one. Choose from classic porcelain plaques in a variety of sizes that can be displayed Vertically or Horizontally. 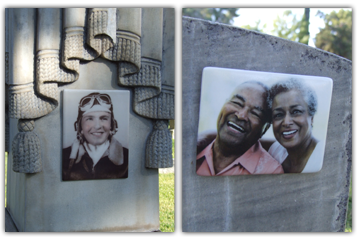 Sun Styles kiln-fired Rectangular Porcelain Portraits and Memorial Plaques can be used in many locations – outdoors or in, on monuments or mausoleums, a special spot in your garden or inside your home. 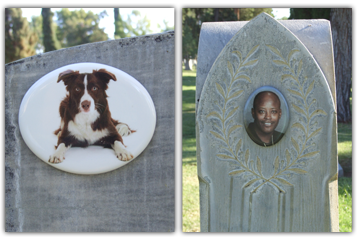 Sun Styles kiln-fired Oval Porcelain Portraits and Memorial Plaques can be used in many locations, outdoors or in – on monuments or mausoleums, a special spot in your garden or inside your home. Remove scratches, flaws or other people.